Employed by Academic Work as a consultant in a web development project for Svea Ekonomi. 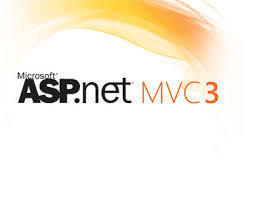 Using MVC3 in Microsoft Visual Studios, the web development project was set up in three different parts. A database storing information, back-end programmed in F# and front-end programmed in C#. The results of the product, which replaced a similar previous application, is now in use internally for Svea employees. As the project was exeuted using "Kanban" for software development, the developers involved had no specific roles. One simply chose a task that needed to be done. In my case, I decided to be active within all areas of the project in order to gain as much practical experience as possible. Expert is a retailing concern, now bankrupt in Sweden since autumn 2012, that is nowadays only active in Norway. As a sales representative there, one assists the customer with finding the right product, help with deficiency reports and service in general. Awarded for being the 9th best seller in the country out of 45 stores during my second month on the job, and also for selling for over a million SEK Dec 2012. Worked with promoting products from AMD (Advanced Micro Devices) within the retail trade for a short period of time. Laboration assistant in the course "programming paradigm", which is a mandatory course for all students studying master of science in engineering, computer science. The course is based on learning different programming languages such as Haskell, Sicstus prolog and C++. This while already having 480 hours of Java programming in experience. As a laborations assistant in this course, the assignments were to help students with their tasks when needed, and to grade their work after a held presentation had been made. Armada is an event hosted at The Royal Institute of Techonology, arranged by the student union, and is the largest work fair in Scandinavia. The fair goes on for two days and is commonly occupied by aproximately 150 companies. It is held once every year in the autumn and is completely arranged by students for students. My role, working with public relations, was to promote the event on campus and during the two fair days welcome poeple and showcase the features of the event. Citrygross supermarket is a chain store with stores all over the country. This specific I worked in has an area of 11.000m^2, sells for approximately 250M SEK annualy and has over 70.000 products. When first hired, I started working in the charcuteri. Later on, just after turning 18, I was promoted to substitutional store manager. An education provided by Sale Nordic in sales within the retail trade. An education provided by Sale Nordic in support and service within the retail trade. Basic upper secondary school with an orientation within technology and english. I was offered through my upper secondary school to participate in the edjucation of an advanced english course. Dimploma issued by the University of Cambridge.